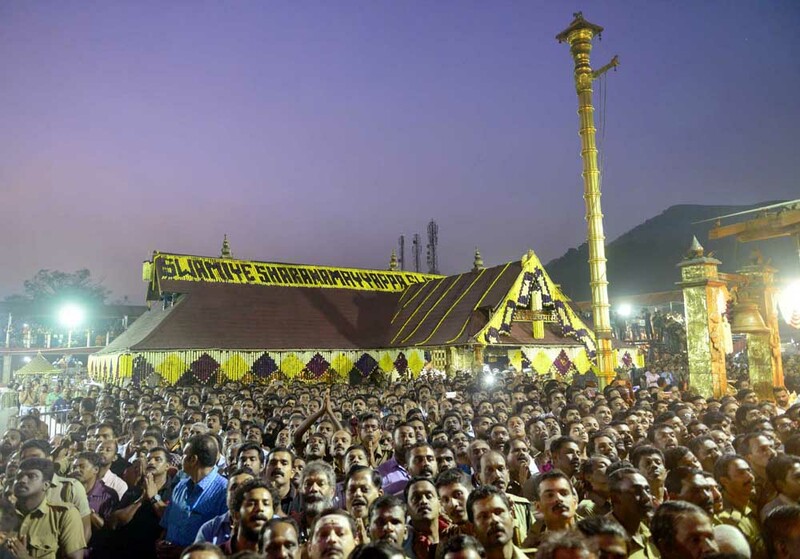 The argument that women are barred from entering the Sabarimala shrine is farcical and untrue. The absolute truth is that lakhs of women come to Sabarimala every year. That itself goes to prove that this whole debate is misplaced and based on a wrong premise. 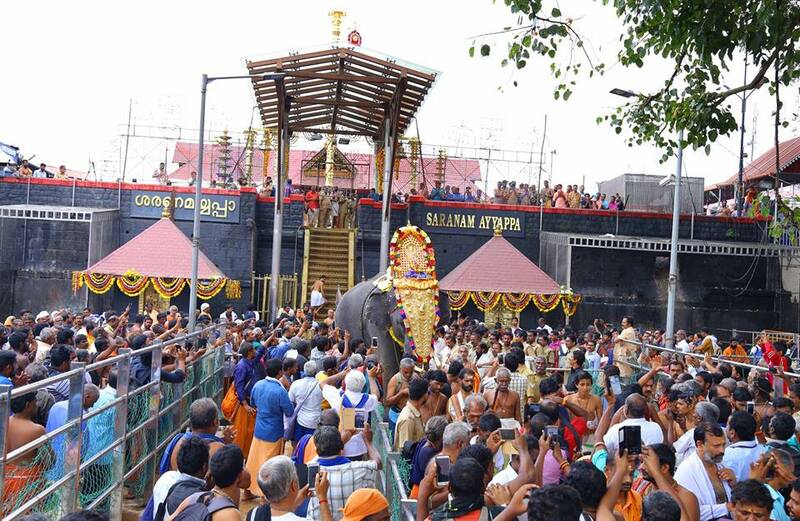 Restrictions are in place only for those women aged between 10 and 50 and this is primarily due to “Naishtika Brahmacharya Pratishta” wherein the reigning deity of the Sabarimala shrine is an absolute celibate. Sanathana dharma ~ our religious protocol is well defined. We worship idols (Archavatharam for Srivaishanvaites) – Our deities are present in both physical/ temporal and philosophical form. Our beloved deities are capable of having different physical and spiritual forms or manifestations. Worship of each of these forms is unique, and not all forms are worshipped by all persons. The form of the deity in any temple is of paramount importance. For instance, Lord Krishna in the temple at Nathdwara, at Mathura, Guruvayur is infant ~ at Thiruvallikkeni divaydesam, He is the Supreme avatar – charioteer of Arjun hence, Sri Parthasarathi. The holy Sabarimala draws millions of people – Lord Ayyappa, the presiding deity of Sabarimala had his human sojourn at Pandalam as the son of the King of Pandalam, known by the name of Manikandan, who found him as a radiant faced infant on the banks of the river Pampa, wearing a bead (‘mani’) around his neck. Manikandan’s feats and achievements convinced the King and others of his divine origin. Few facts need to be understood even by people who are God believers but still support SC decision. Lord Iyappa is the Lord of masses - the cult of Sabarimala broke the ‘divide’ created internally within the Hinduism and also created by ‘’divide and rule’’ model of invaders. During the Sabarimala season, you can see millions of people wearing coloured dhotis, wearing the mala and sandal paste on their foreheads. They observe strict ‘’brahmacharya’’,strictly follow food restrictions, live a dharmic path. These *Iyappa samis* mingle freely with each other without any discrimination based on caste, age, social status etc etc.. address each other ‘Sami’. Faith has been deeply rooted in society's political and moral behaviour. Any challenge to that faith, offends followers and believers, seriously threatens the very fabric of religious beliefs. Sabarimala Sree Dharma Sastha Temple, dedicated to Lord Ayyappa, is the most famous and prominent among all the Sastha temples in Kerala. The temple is situated on a hilltop (about 3000 feet above sea level) named Sabarimala in Pathanamthitta district, which is unique. One of the unique aspects of this temple is that it is not open throughout the year. It is open for worship only during the days of Mandalapooja, Makaravilakku and Vishu. Till a few decades, the path was strewn with all difficulties – pilgrims would encounter difficult weather, forest animals and more – they would endure everything for their Lord – to have darshan of that deity. Devotees observe celibacy for 41 days before going to Sabarimala. Most devotees take the traditional forest routes as well as the one from Pamba and reach the sannidhan, the place where Lord Ayyappa meditated soon after killing the demon, Mahishi. Before His darshan, pilgrims elatedly walk through the Holy 18 steps figuratively called *Ponnu Pathinettampadi*, 'Ponnu' being an epithet to denote the holy touch of lord's feet. Only those who observe 41 day's of austerity as ritual can only carry ‘Irumudi’ are allowed to pass through these steps. Now comes the present judgment that threaten to put an end to centuries-old tradition. Apex Court on Friday ruled that women, irrespective of age, can enter Kerala’s Sabarimala temple. A five-judge Constitution bench, stated that the rules of 1965, which authorised the restriction, violated the right of Hindu women to practice religion. It also said that patriarchy in religion cannot be allowed to trump the right to pray. Justice Indu Malhotra, who penned a dissenting verdict, said the petition does not deserve to be entertained. The whole thing became a political debate, a matter before Court, because of some specious arguments put forward deliberately by left-leaning feminists, with the sole purpose of misleading the masses. Every temple has a unique "pratishta sankalpa" i.e. the choice of a particular aspect of a particular deity for worship. The rules & regulations of a particular temple or pilgrimage are based on who the reigning deity is and the sampradhaya followed in that specific temple. We see God everywhere and worship our God in various forms in temples, which have significance of their timeline, who built, who worshipped, and many other religious aspects. There are hundreds of Ayyappa temples which allow all women - age no bar - because those temples have a different “pratishta” concept. 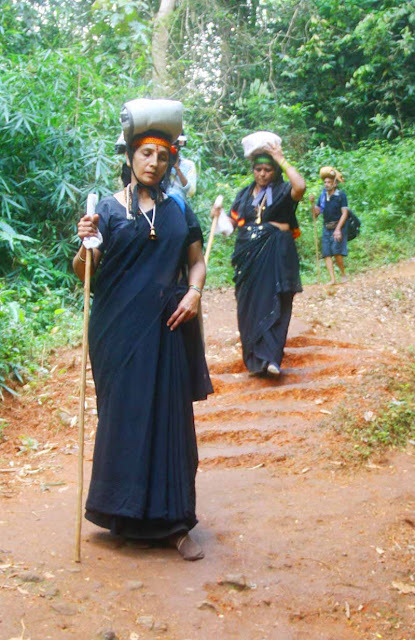 Just take a look at the Attukal Pongala – the female version of the Sabarimala pilgrimage. 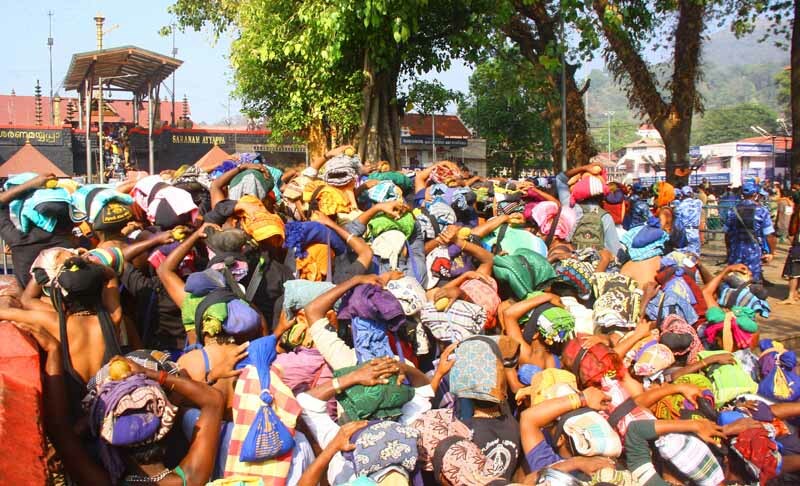 It has even found mention in the Guinness book of World records for being the largest congregation of women on earth with over 30 lakh women offering pongala to the Attukal Devi, a goddess worshipped in Kerala. Here, women enjoy a privilege that is given to no male. A clutch of petitions had challenged the ban at Sabarimala, which was upheld by the Kerala High Court. The HC had ruled that only the “tantri (priest)” was empowered to decide on traditions. The petitioners, argued in court that the tradition is discriminatory in nature and stigmatised women, and that women should be allowed to pray at the place of their choice. Four judges on the bench ruled in favour of lifting the ban on women entering Sabarimala temple. CJI Dipak Misra and Justices Khanwilkar, Nariman and Chandrachud found the practice discriminatory in nature and that it violates Hindu women's right to pray. Here are top quotes from the majority judgment: CJI said devotion cannot be subjected to discrimination. "Patriarchal rules have to change. Patriarchy in religion cannot be allowed to trump right to pray and practise religion", he said. Justice Khanwilkar concurred with the CJI's verdict. All judges ruled that devotees of Lord Ayyappa do not constitute a separate religious denomination. Hon’ble Justice Indu Malhotra, the only woman on the bench, said that the petition does not deserve to be entertained. She was of the view that it is not for courts to determine which religious practices are to be struck down except in issues of social evil like ‘Sati’. Adding that the issue is critical to various religions, she said, “Issues of deep religious sentiments should not be ordinarily be interfered by the court. The Sabarimala shrine and the deity is protected by Article 25 of the Constitution of India and the religious practices cannot be solely tested on the basis of Article 14.” “Notions of rationality cannot be invoked in matters of religion,” said Justice Malhotra, adding: “What constitutes essential religious practice is for the religious community to decide, not for the court. India is a diverse country. Constitutional morality would allow all to practise their beliefs. The court should not interfere unless if there is any aggrieved person from that section or religion.” “Present judgment won’t be limited to Sabarimala, it will have wide ramifications. Issues of deep religious sentiments shouldn’t be ordinarily interfered into,” said Justice Malhotra further. She also said that “Religious practices can’t solely be tested on the basis of the right to equality. It’s up to the worshippers, not the court to decide what’s religion’s essential practice.” .. .. Court perhaps should not have intervened in this purely religious affair, however, even with this judgement in place, it seems unlikely that women believers will now suddenly break religious norms, and automatically break out of years of social conditioning, in order to enter Sabarimala temple. As evinced by the now-resurgent #ReadyToWait campaign on social media, this judgement doesn’t grant the present generation of religious believers a right they themselves were actively asking for, nor does it say that women must now enter the temple. It merely intervenes to remove a religious ban in accordance with the Constitutional law of the land, allowing believers who choose to enter the temple to now do so. But will they? 26. Freedom to manage religious affairs Subject to public order, morality and health, every religious denomination or any section thereof shall have the right: (a) to establish and maintain institutions for religious and charitable purposes;(b) to manage its own affairs in matters of religion; (c) to own and acquire movable and immovable property; and (d) to administer such property in accordance with law. Religious beliefs are held to be sacred by those who have faith. Religion does not merely lay down a code of ethical rules for its followers to accept, but also includes rituals and observances, ceremonies and modes of worship which are regarded as integral parts of the religion In matters of religion and religious practises, Article 14 can be invoked only by persons who are similarly situated, that is, persons belonging to the same faith, creed, or sect. The Petitioners in the impugned case did not claim to be devotees of Lord Ayyappa, who are aggrieved by the practises followed in the Sabarimala Temple. The right to equality under Article 14 in matters of religion and religious beliefs has to be viewed differently. In deciding the question as to whether a given religious practise is an integral part of the religion or not, the test always would be whether it is regarded as such by the community following the religion or not. So, this verdict has deeply anguished followers.